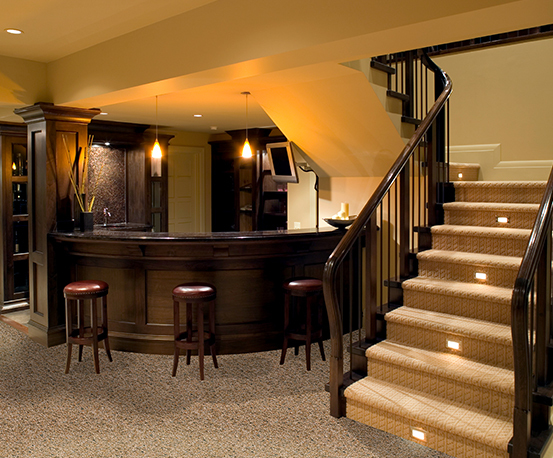 Over 50,000 beautiful floors completed for over 50,000 happy customers in Ohio & Pennsylvania. Proudly serving the Cleveland, Akron, Canton, Cincinnati, Youngstown, Columbus, Dayton, Mansfield, Toledo, Pittsburgh & Erie markets! Including laundry rooms, utility rooms, and more. 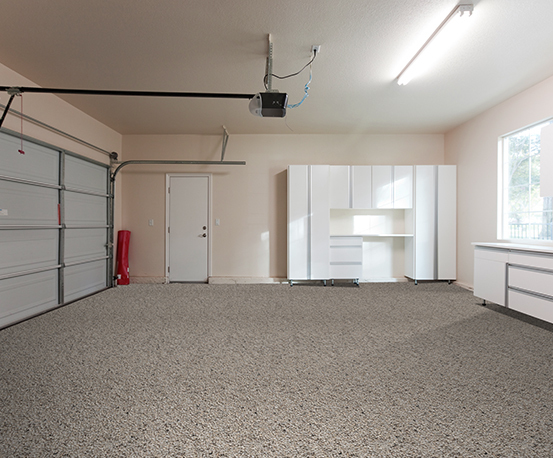 Cover uneven concrete and beautify your garage with Nature Stone. 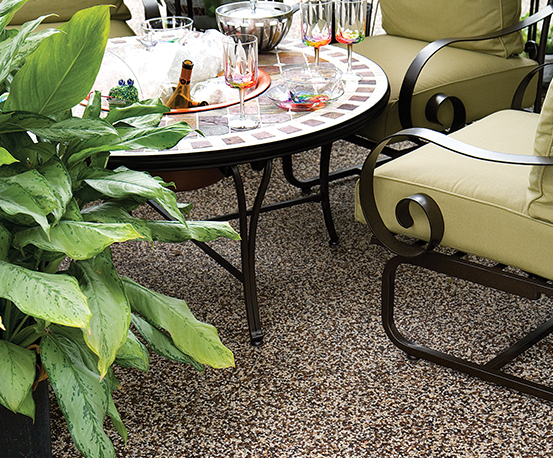 Nature Stone works in a variety of outdoor environments, including patios, porches, pools, sunrooms, and more. WE PRIDE OURSELVES ON HAVING AN EASY, NO-HASSLE SALES PROCESS. 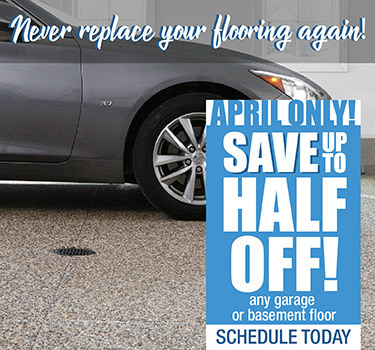 CLICK/TAP HERE TO LEARN MORE ABOUT OUR PRICING, AND BELOW TO SCHEDULE AN APPOINTMENT. Authentic NATURE STONE® Brand Flooring’s specially formulated, proprietary epoxy is the secret to its beauty, performance and longevity. 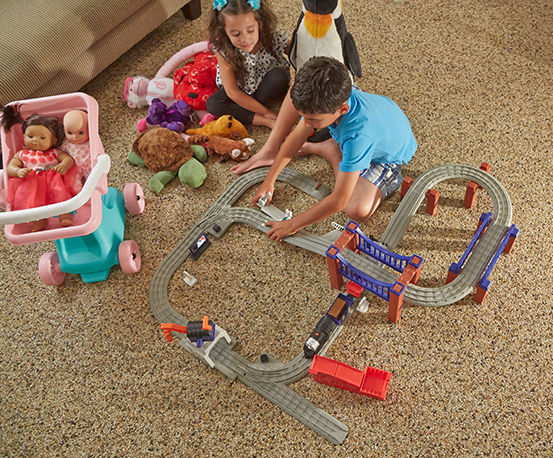 Your new floor can take a beating and is simple to clean with a vacuum cleaner or hose. SCHEDULE YOUR IN-HOME DESIGN CONSULTATION TODAY!